This dataset contains internationally comparable indicators regarding the pharmaceutical consumption and sales, including OTC (over-the-counter) drugs for country members of OECD (The Organization for Economic Co-operation and Development) and for countries in accession negotiations with OECD. The indicators values cover the period 1980-2016. The OECD (The Organization for Economic Co-operation and Development) mission is to promote policies that will improve the economic and social well-being of people around the world. OECD’s work is based on continued monitoring of events in member countries as well as outside OECD area, and includes regular projections of short and medium-term economic developments. The OECD Secretariat collects and analyses data, after which committees discuss policy regarding this information, the Council makes decisions, and then governments implement recommendations. 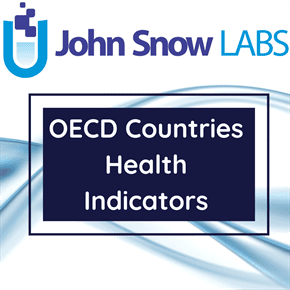 The OECD Health Datasets offers the most comprehensive source of comparable statistics on health and health systems across OECD countries. It is an essential tool to carry out comparative analyses and draw lessons from international comparisons of diverse health systems. Data for the following countries under-estimate pharmaceutical sales reported because of one of these limitations: Australia, France, Germany, Japan, Luxembourg, the Netherlands, the Slovak Republic and Spain. Depending on the allocation of pharmaceutical products with more than one use, differences in reporting of specific drugs may occur across countries, thereby affecting the relative size of specific ATC groups. A generic drug is a pharmaceutical product which has the same qualitative and quantitative composition in active substances and the same pharmaceutical form as the reference medicinal product, and whose bio-equivalence with the reference medicinal product has been demonstrated by appropriate bio-availability studies. Generics can be classified in branded generics (generics with a specific trade name) and unbranded generics (which use the international non-proprietary name and the name of the company). Data for generic drugs are collected as a share expressed in value or volume. Values can for instance be the turnover of pharmaceutical companies, the amount paid for pharmaceuticals by third-party payers, or the amount paid all payers (third-party and consumers). Market value are most often at ex-factory prices, while amounts paid by third-party payers (and consumers) are in general at retails prices. Volumes can be expressed in DDDs or as a number of packages/boxes or standard units. The reimbursement market is the sub-market in which a third party payer reimburses medicines. Breaks in the time-related continuity of data on which the calculated indicators values are based are specified in the content of dataset. There are also specified the cases were the methodology used for data collection was different or if the values are estimated.